Seth Varner began the season in the Dayton Dragons rotation. He got his first start of the season on April 13th against South Bend where he allowed a run in 5.0 innings with no walks and six strikeouts. The lefty would take the mound five days later and allowed two earned runs in 6.0 innings with six more strikeouts. On the 24th he would walk the tightrope as he allowed 12 hits in 6.0 innings, but managed to limit the damage to just two earned runs without a walk and with five strikeouts. In his final start of April Varner allowed two runs in 5.0 innings where he allowed his first home run of the season and struck out seven batters. For the month he would post a 2.86 ERA in 22.0 innings without a walk and with 24 strikeouts. He did allow 31 hits on the month though. May began with a strong start where he allowed one hit, a solo home run, over 6.0 innings with no walks and nine strikeouts. On May 11th he took the mound and issued his first walk of the season in a start that lasted 7.0 innings with six strikeouts. On the 16th the left hander ran into problems against Lake County where he allowed four runs on three walks (a season high) and four hits in 3.1 innings pitched. The next time out he allowed four more earned runs, but last 6.0 innings with no walks and three strikeouts. After back-to-back outings where he struggled, Varner rebounded in a big way with 7.0 shutout innings, no walks and five strikeouts. On the final day of the month he would take the mound against Lansing. He would struggle though, allowing three earned runs (and two unearned) in 3.2 innings with four strikeouts. For May Seth Varner posted a 3.55 ERA in 33.0 innings with four walks and 32 strikeouts. 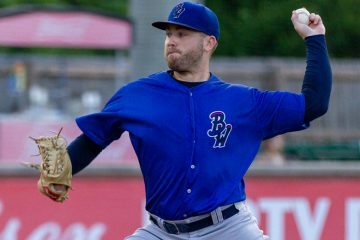 After a week of rest, the former Miami RedHawk took the mound in Kane County and the extra rest didn’t do him much good as he allowed three runs in 4.0 innings. Six days later he returned to the mound and performed well, tossing 7.0 shutout frames with seven strikeouts. On the 18th he tossed another 5.0 shutout innings with six more strikeouts. On the 25th he would make his final start for the Dayton Dragons by allowing two runs in 7.0 innings with four strikeouts against Bowling Green. 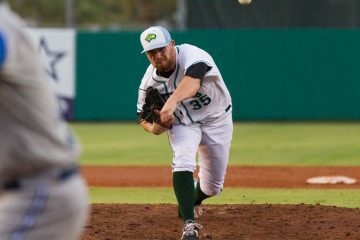 He was promoted to Daytona where he joined the Tortugas rotation and made one more start in June. Palm Beach hit him up for three earned runs in 6.0 innings with two walks and two strikeouts. For the month the lefty posted a 2.48 ERA in 29.0 innings, walking three batters and striking out 23. July would begin with a rough stretch for Varner. He would allow three, three and four earned runs in each of his first three starts that spanned a combined 16.0 innings. On the 23rd he would allow just one earned run in 5.2 innings without a walk and with five strikeouts. The month closed out against Fort Myers where he allowed two earned on eight hits and two walks in 4.2 innings pitched. The month was the worst of the season for Varner as he posted a 4.44 ERA in five starts. Over 26.1 innings he walked just two batters and had 20 strikeouts, but also allowed a season worst four home runs in the month. August saw Seth Varner move to the Daytona bullpen. His first relief appearance came on the 6th and was good for 6.0 innings behind Nick Travieso who had just returned from the disabled list. The lefty struck out nine batters and walked just one with two earned runs allowed. Five days later he would toss 3.0 shutout innings with three strikeouts against Dunedin. In his first outing on short rest all season, he struggled on the 14th as he allowed two runs on three hits in 0.1 innings. Varner made the start in the second game of a double header on the 19th and tossed 5.0 shutout innings with a walk and six strikeouts. Eight days later he would toss 2.0 shutout innings of relief against the Yankees with three strikeouts. September began with a double header and the left hander started the second game and tossed 5.0 shutout frames. 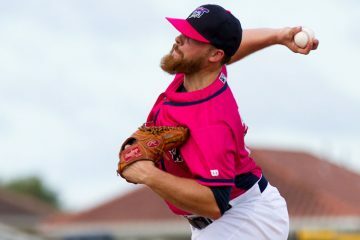 On the final day of the regular season Varner made his best start of the year as he allowed just one hit over 7.0 shutout innings with no walks and a season high 10 strikeouts. 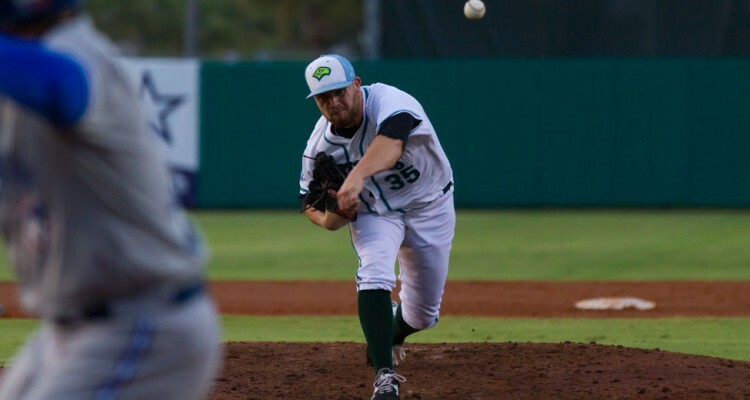 Over the final five weeks of the season with the Tortugas he posted a 1.27 ERA in 28.1 innings pitched where he allowed just 14 hits, two walks and had 35 strikeouts. Seth Varner set the Cincinnati Reds minor league record (at least dating back to 1962, which is as far back as the Baseball Reference data goes) for the best strikeouts-to-unintentional-walk ratio in franchise history. You can read more about his achievement in this article that was written following the season. Fastball | Location over velocity is the big thing for Varner’s fastball. He’s able to locate the 86-89 MPH pitch wherever he wants to. Curveball | His go-to pitch when he gets ahead of hitters, the pitch is an above-average offering with a little bit of 1-to-7 sweeping action that works in the mid-to-upper 70’s. Change Up | A clear third pitch for Varner that he doesn’t go to nearly as often, it’s a below-average offering. While he has been a starter for a majority of his career, the bullpen is more of a likely destination. With below-average fastball velocity as a starter, evaluators hope he can pick up a few extra ticks in shorter appearances and pair it with his breaking ball to turn into a strong left handed reliever. He may continue to start in the short term, but as he gets closer to the Majors look for him to move into the bullpen. His splits between lefties and righties look pretty even as well. Love the way our minor league pitchers are establishing a pattern of pounding the strike zone. Righties hit for more power than lefties do against him, but that’s the big difference thus far. It will be interesting to see how well that holds up in the upper levels though. That fastball velocity just isn’t going to play against more advanced hitters. If he can dial it up to 90-91 in one inning stints, then maybe he has a shot of being a lefty specialist. I know Tom Browning was a big fan which accounts for his promotion ahead of other Dragons 2015 starters with better stuff. I think he saw a little of himself in Seth. For all the talk of Reyes, Chapman, and Puig, those are nothing. I am shocked he managed to get out without jail time based on this write up. Sounds like it is time to cut him loose regardless of baseball abilities. It will be interesting to see how the team handles the scenario. It wouldn’t surprise me at all if he were let go once Major League Baseball makes their decision on his punishment (if they hand one down on top of the suspension he’s already served). I would kind of be surprised if Reds just cut him considering the money they have invested. That always seems to be part of the decision. He did the crime. Is serving his time. Yeah, cut him. That will encourage everyone to seek help for drug/alcohol/emotional problems.